Darjeeling is a whole different India. How is it different? How different is it? Some of Darjeeling’s outerwear and faces. Neither these countenances nor coats are the stuff of lowland India. Click the photo to enlarge. It is cooler. Much cooler. It’s 70F in Darjeeling when its 90-110F across lowland India. People wear jackets and sweaters all the time. There are no cattle in the streets. It is cleaner. Yes, there is still trash strewn about, but much, much less. Some of that can be attributed to population density, some to no cattle. 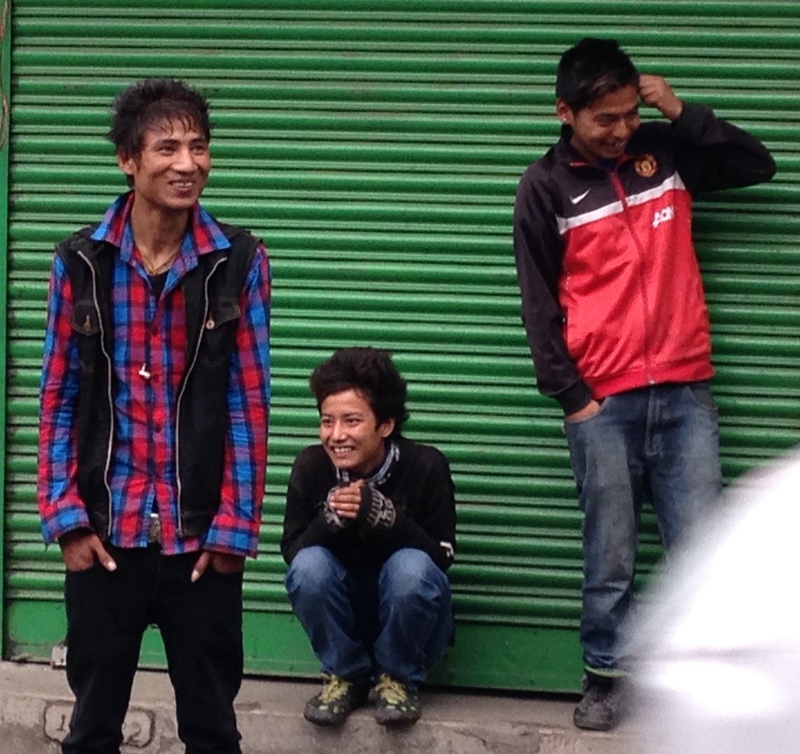 We also wonder how much of that can be attributed to the large population of Tibetan refugees living here. Darjeeling has fewer aromas of all types. Is part of the root cause the lower temperature? Many fewer women wear saris. We doubt ourselves, but wonder if the only women wearing them are visiting from below 1000 feet in elevation. 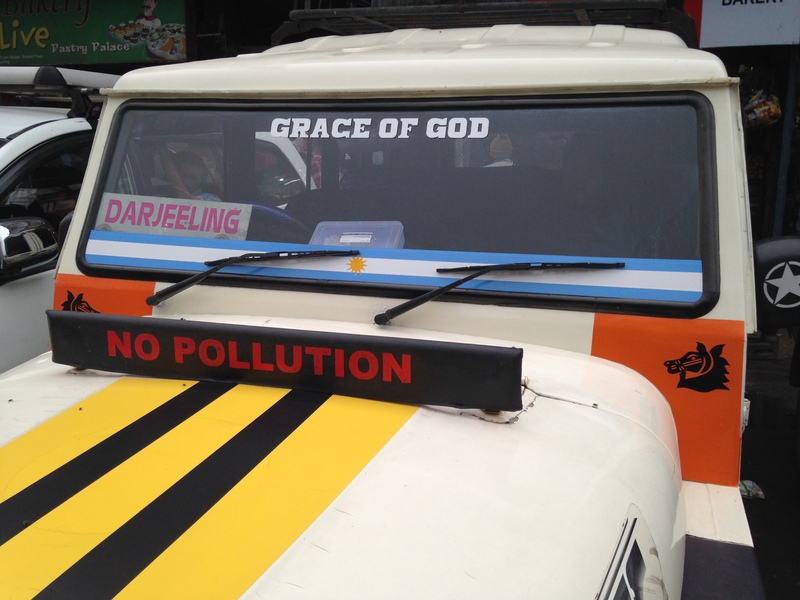 In Darjeeling, jeeps and cars rule the road. Foot power is common, and there are a few bicycles, but we see none of the three-wheeled vehicles that clog the streets of Delhi or Varanasi. Click the photo to enlarge. The tea contains no milk, unless a low-lander specifically asks for it. There appears a higher level of industriousness. Is this also an influence of the Tibetan refugees? Many faces have shapes decidedly different from the rest of India. The color palette is more muted in Darjeeling. The constant swirl of mist may be part of the reason for this, but we also think there is a cultural influence. The jeep is king. 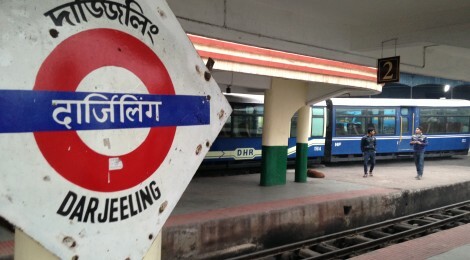 Darjeeling has no auto rickshaws and no cycle rickshaws. The streets are too steep for those lowland vehicles. Darjeeling has vistas. People can look up from their day-to-day and see something grander than themselves. In most of lowland India, people can see into the next rice paddy or to the next cluster of doorways, and that is all. 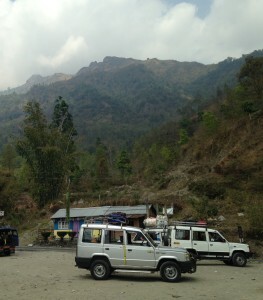 Looking up into the mountains around Darjeeling. Physical beauty, one’s relationship to nature, and the existence of hairpin curves are all different in the uplands. Click the photo to enlarge.